Summer is quickly coming to a close and we are squeezing in as much as we can before it does! New York can be such a tricky area because one minute it's sunny, the next, we have 12 inches of snow falling. 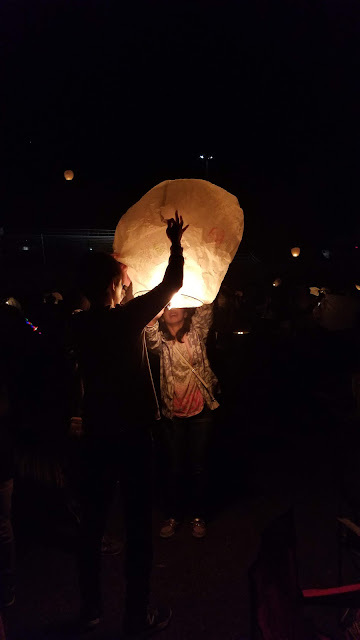 We decided to try something new, The Lantern Festival in Erie, PA. I really had no idea what to expect. We brought some warm clothes in a backpack, blankets and camping chairs. When I looked at the website they discouraged bringing in your own food and drinks. Keep that in mind because they DO check your bags. 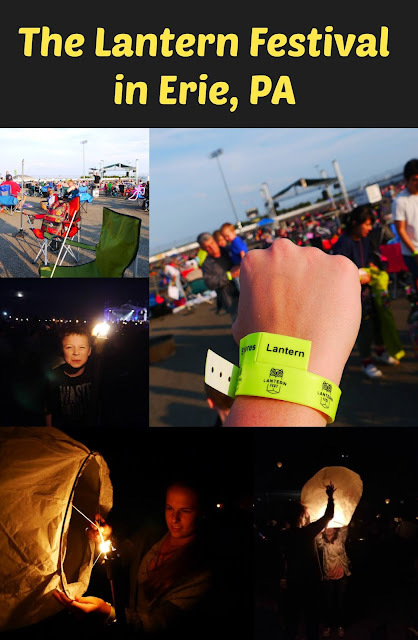 The wrist bands they give you at the door have your tickets for the Lanterns and S'more kits. When we went to get the "Goodie bags" little man didn't get anything. I think if we go again, I will buy him an adult ticket so he can have his own Lantern to decorate (and S'more kit). We shared my Lantern this time around! Many people say goodbye to loved ones or express their love to one another. Of course little man had to pay tribute to the hockey players that have touched his precious heart this past season. 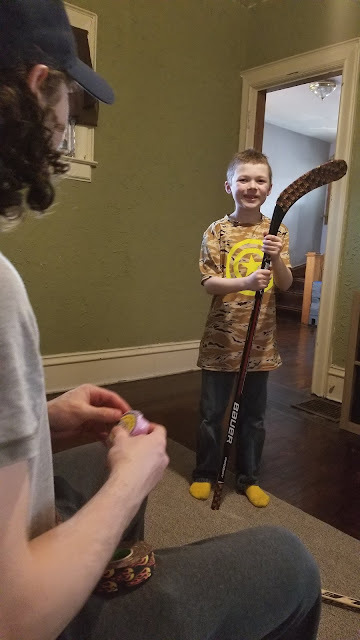 Complete with a goal, hockey sticks and their numbers! Did I mention we invited some friends along? I think for an event like this bringing a group with you is rather fun! We all talked, ate S'mores, enjoyed the campfire, played corn hole and listened to the "band". I think they did a great job of sectioning off areas for families to spread out. Some events people are not very nice to one another but here everyone was friendly. They opened up their "campsites" invited you to play games as if we all knew each other for years! If the forecast calls for a windy night this event can be a challenge. The wind was so bad at times the Lanterns would not even light. Once you DO get them lite you have to hold them to the ground and let them fill with air. I will be honest with you out of the 5 of us none of our Lanterns flew. The wind was just to strong that night! Our Lanterns ripped before even taking off. Would I do this Festival again...YES absolutely! No one can truly predict the weather accurately when planning such events way in advanced! We had so much fun before "lift off" that we all vowed to come back next year and try again! I think events like this really break you out of your comfort zone, help you meet new people and converse with loved ones! I would encourage you to look for a Lantern festival in your area. Maybe you will have better luck than us. If so, send US a picture, we would LOVE to see them!! Sink full of dirty dishes? Household chores piling up all around you? What do you do to make cleaning enjoyable? I do not know about you but cleaning is a chore and frankly that is how I feel about doing it. I love a clean house but a busy work/travel schedule and small child leave little time. Let alone the energy to enjoy the whole "cleaning process". If you can relate to any of that then these Kitchen Cleaning tips are for you! 1. Purchase Quality appliances! Over the past few months we have had the Best Buy Geek Squad truck deliver new appliances to our home. I have owned the same one's for around 13 years. It was time to change out the old appliances with new fingerprint-resistant stainless steel one's! Not only do they help save money on your energy bill but they truly are such an great investment. 2. Turn on music while you clean. I find music can really relax you and put you in a positive mood. I even have Cleaning Playlists to help me get "pumped" to clean. 3. Work your way around the room. Before I had my son I would pick up something and put it away. From there I would do that same it that room. I realized it would cause so much more work because I would get distracted. Now, I start in one area of my kitchen and move my way around the room. As things get put away and I start to deep clean it the process takes less time and I feel more accomplished not so overwhelmed. This post was in collaboration with Best Buy. I was not required to write a positive review nor was I compensated in any other way. The opinions I have expressed are my own. I am disclosing this in accordance with the FTC Regulations. 4. Replace your sponges regularly. 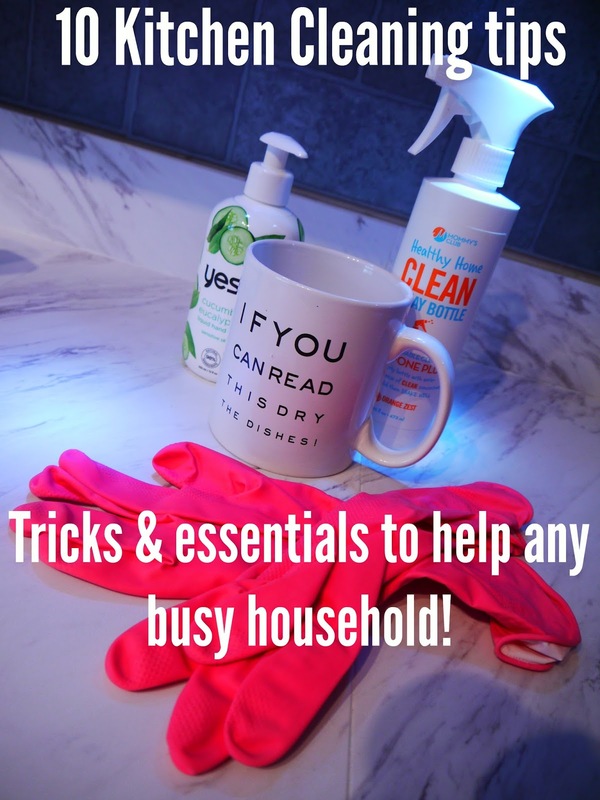 I have tried so many methods of cleaning and sponges are still my go-to. Dampen a dirty sponge and microwave it on high for 60 seconds to kill bacteria. But once they look worn out, replace them! 5. Dedicate a specific amount of cleaning time and then set a timer. I use the stove timer for this. Work as fast as you can within this time and don’t let yourself get distracted. Having a cleaning playlist mentioned above also helps you stay focused. 6. Working from the top down, wipe down all cabinet doors, knobs, walls, back splash, light switches, counters, faucets etc. with your all purpose cleaner. 7. Purchase quality cleaning supplies. I have read so much research about different chemicals in cleaning agents. In my experience I have found spending a little more on quality products the jobs get done right the first time. After I clean the kitchen I have no streaks or dust and feel confident my kitchen is ACTUALLY clean! 8. Clean appliances together. I start the microwave but spraying it with cleaner and letting it sit and same with the oven. This way both things are soaking up the cleaner and I can work in other areas. I usually tackle the refrigerator while they are "peculating". 9. Use bins in your pantry and refrigerator to cut down on spills. I invested in small bin containers to put our kid drinks in, my coffee creamer, jelly, yogurt etc. This helps with spilling and my fridge always look clean. If there is a spill it is contained in the bins. I just take it out and clean it out it out having to take all of my fridges con-taints out like before. 10. Do not stress about the among of work you may or may not have. I find having a positive outlook really helps make things not seem so overwhelming. Phew!! You made it! Now it is time to relax and enjoy your beautiful clean kitchen until it is time to cook again! Are you looking for new appliances too? 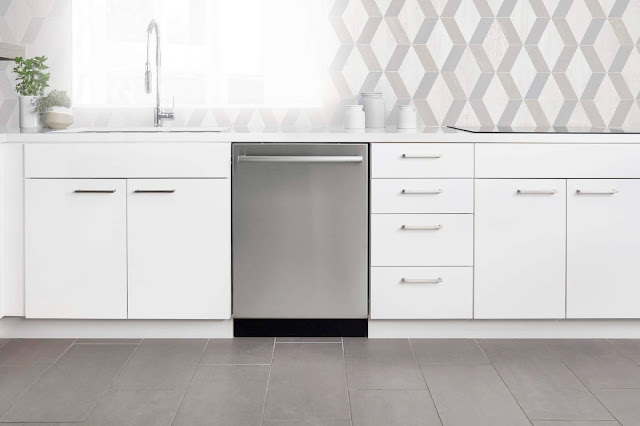 Here are a few wonderful qualities of the BOSCH 100 Series dishwasher. 1) The quietest dishwasher brand in the U.S.
2) 18 sound reducing technologies. 3) InfoLight ® lets you know it’s running. 1) Bosch is the most reliable dishwasher brand with the lowest repair rate according to a leading consumer publication. 1) A variety of designs and door handle are available to fit any kitchen. 2) 3rd rack adds 30% more loading area. 3) Adjustable Rackmatic™ rack provides 9 adjustable positions giving you maximum loading flexibility. 1) Bosch owns 5 of the top 10 drying scores out of 160 tested dishwashers by a leading consumer publication. 2) The Utility rack is the perfect place for hard to place items like that last whisk and opens up space on the upper rack for the rest of your dishes. 3) Skip the Pre-Rinse with Bosch. 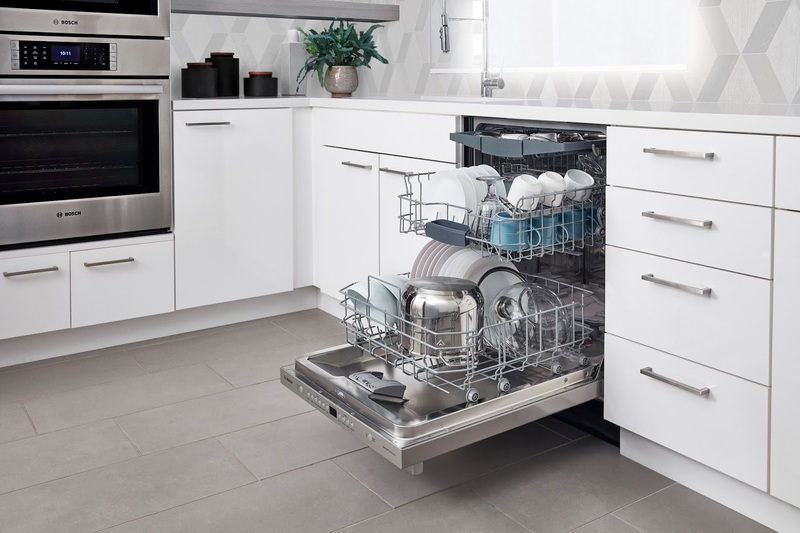 All Bosch dishwashers have PrecisionWash™- an intelligent wash system with sensors that target every dish to leave them sparkling clean, every time. 4) Choose Quality for your Home. In our factory, we perform 485 quality checks on every dishwasher to ensure lasting performance in your home. Do you research if you are in the market for appliances!! Do you have any kitchen cleaning tips? I would LOVE to here about them in the comments!! In hopes we learn while having the time of our lives. **I received a free service to facilitate my review. I was not required to write a positive review nor was I compensated in any other way. The opinions I have expressed are my own. I am disclosing this in accordance with the FTC Regulations. This year has been a serious tear jerker around these parts. As a Mom, I have started to say goodbye to kids I babysat for. They are heading onto college and starting their young adult careers. This time really starts to get you in all the feel good parts of your body. You reflect, you give advice and you start to take a second longer embracing these precious moments. Once they have settled into their dorms, the void starts to sink in. I see it on my son's (who is still young, 9) as he says his "goodbyes". These kids that have filled our hearts with memories will no longer be "popping" in regularly. They will no longer come over daily for dinner or nerf gun wars. Their childhood beds will soon be empty and their parents will start the empty nesting stage of life. 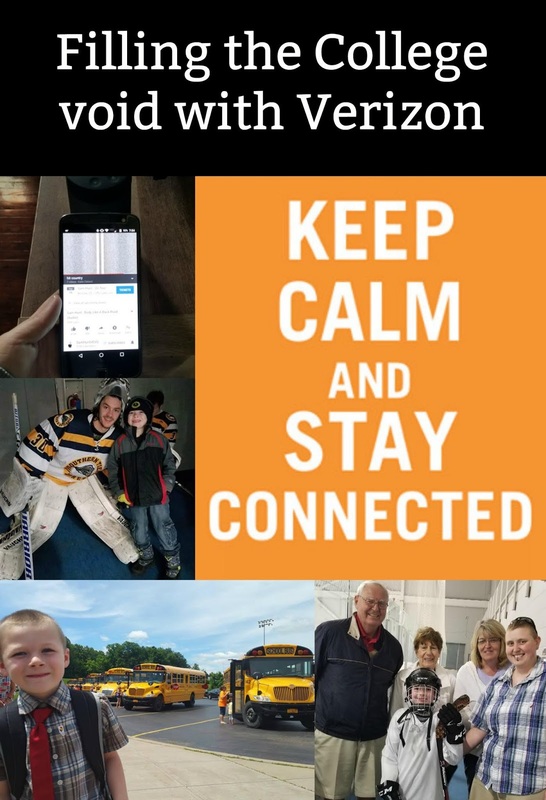 Having a way to stay connected has never been more important these last few weeks! From texting, FaceTime to Instagram stories. I feel like I have officially embraced the technology age. 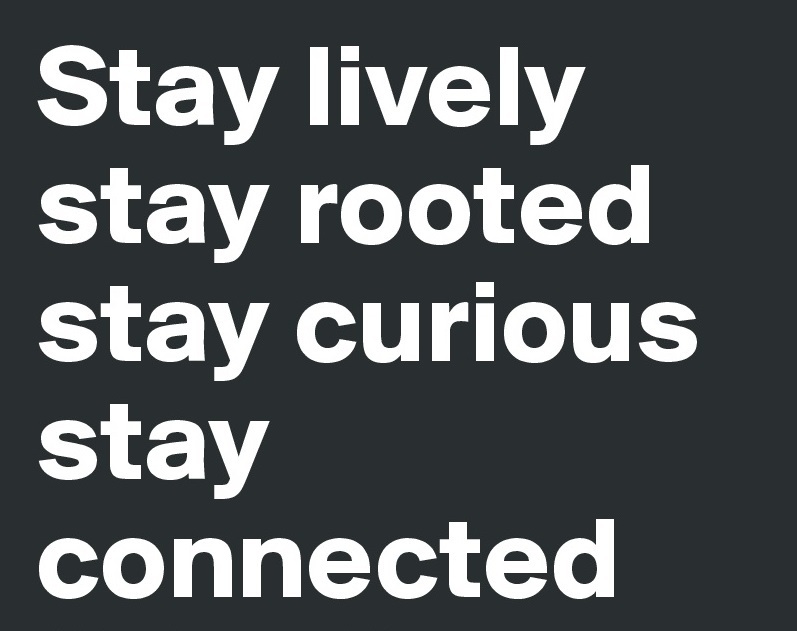 Are you connected? Verizon has some great unlimited plans that I would be remiss if I did not mention! I honestly can't tell you how fast my sons face lights up when one of his fellow hockey players send him a message. Those dimples do NOT come out for just anyone (TRUST ME). 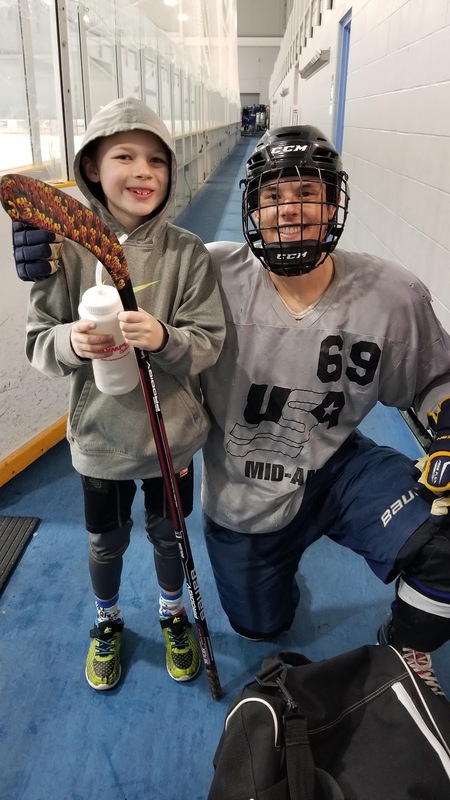 As we make our plans to travel the United States, to seem them all play professionally or at their colleges, these means of communication are so vital. Never do I have to say, I am "counting my phone minutes". I can simply just let him "emoji" text back and forth with them while I book our flights and hotels. So if you are sending off your baby this year....I see you. Know you are not alone! Know the void is felt not just by you but so many of those who your son or daughter has touched along their path. Know we are sending them care packages and well wishes as they spread their wings!! Are you sending someone off to college?? What age did you give your child a phone?? Let us know in the comments!! We have had some record breaking flooding and road closures to central Pennsylvania these past few months. The rain sent creeks and streams spilling over their banks causing places like Hershey Park to close and evacuate! During this time I saw so many "complaints" that many had traveled to this area and no longer had things to do. Hershey Park is a wonderful park to bring your family but the area has much more to offer! 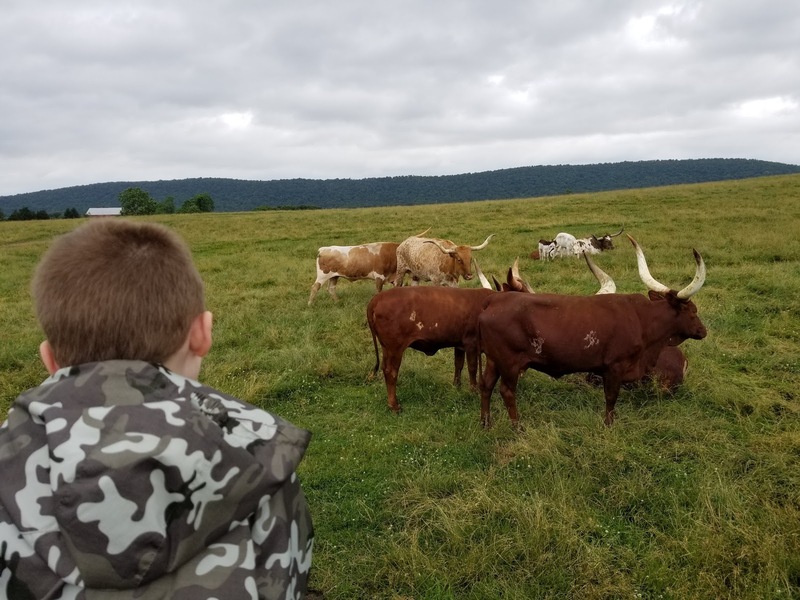 I thought perhaps it was time to share some of my families suggestions since we just returned from a trip to the area ourselves! Hershey Park: Yes, as stated above a wonderful place to bring your whole family. While I want to focus on other places to visit in area, I would be remiss if I didn't mention a few things about this Park! My first recommendation...go EARLY to beat some of the crowds. This place gets packed by mid afternoon so be vigilant on planning your trip. While this Amusement Park offers rides, shows, water slides, game you name it they also have interactive characters that walk around. My son LOVES meeting them so I had to mention them!! Visit Zoo America! They believe it is their responsibility to protect, promote, and encourage the conservation of wildlife, natural resources, and habitats. Each habitat is well made for every animal they house. We love wandering around and viewing the different species. They also have shows, educational animal viewing (pictured above) plus petting areas for the whole family. Another great benefit, you get FREE admission when you buy Hershey Park tickets!! 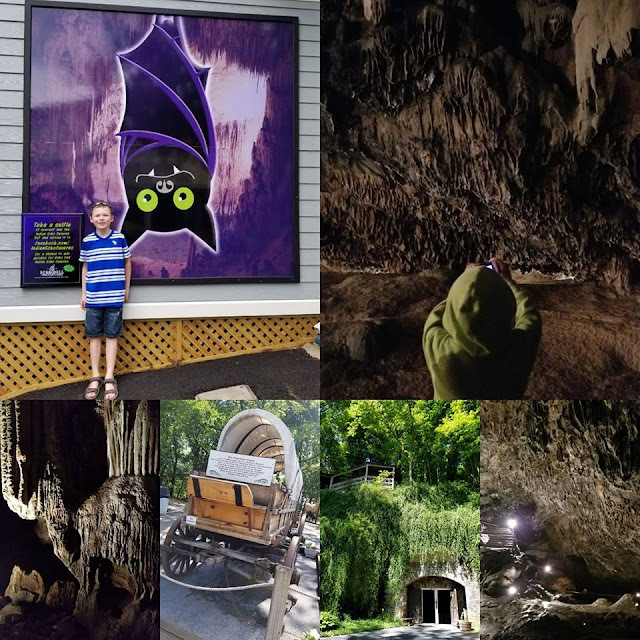 Take a trip to the Indian Echo Caverns. After some HOT weather in the area it feels so good to get out of the 🔥 heat & enjoy the 52 degree caves! We visited on a day the humidity was around 99% and temps of 100 degrees. This is a guided tour that lasts a good chunk of time depending on how many questions and stories are told. I would recommend bringing a sweater because it does get chilly towards the end. These caverns are well lite but do have some small spaces to walk through. We wore sneakers and I think that is a good idea because the floor can get slippery due to the water dripping! Explore Lake Tobias!! I will be honest with you I stumbled on this wildlife park purely by accident. We had nothing planned one day, driving to another destination, when I spotted a sign to this place. It was sprinkling so I thought I should call ahead and see if they were even open. 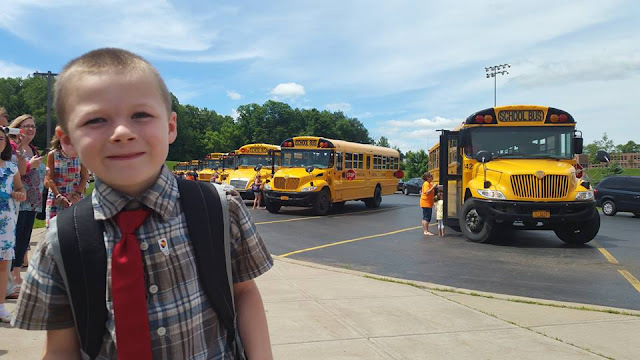 By the time we got to Lake Tobias the sun was out and they were running the Safari buses! I could write a WHOLE post on this place because it was THAT memorable (actually I think I will). If your family enjoys animals, like mine does, this is the place for you! First off it's so affordable, I believe it was around $8 a person!! Second, the Safari rides are the BEST I have EVER been on thus far. They are done in a half school bus with educated tour guides that truly love the animals they work along side. Third the enclosures are HUGE! This place is so large that they could easily expand and still have plenty of room for the animals to roam. My family loved that many of the animals did roam freely and seemed "happy". I know you can't ask an animal if it's happy BUT you can see if they are flourishing in their environment. it might be off the beaten path in the middle of no where BUT....WORTH A TRIP!!! Hershey gardens. If you stay at the Hershey hotels you might have seen this place as you drive up to check in. I believe you also get FREE admission if you stay in the Hershey Hotels. This place you could spend some time walking around and exploring. I would pick a day that is not to humid to enjoy ( you will be walking in greenhouses and to different gardens). They even have fun kid explorer scavenger hunts!! The butterfly conservatory is also interesting to do. Whenever we see them we have to go through. Explore the area. I honestly couldn't believe this caboose (total beauty, right) was tucked away near the Fort Hunter Mansion And Park! My son has a LOVE of all things trains so this was rather exciting. We also found a mini statue of liberty on some rocks, in the middle, of the river we passed! Fort Hunter Mansion And Park is a great educational stop. My family enjoys history so we always try to incorporate that into our trips somehow. While this might not appeal to everyone, I know some of my followers home school. If you do, this place is a great stop on your journey! We had fun learning the history of the area while viewing some of artifacts they had. My son personally liked the kitchen area because he was not used to seeing how things were done manually many years ago. Another thing I would like to mention...the staff are VERY kid friendly. Many places similar to this don't allow you to touch anything and they kind of frown upon kids being with you. Here they really did a good job of talking history without boring him (and us) and incorporating him in the stories! I think that really shows how truly special a place is because we all enjoyed our time! Take a ride on the Pride of Susquehanna. This riverboat has a great selection of cruises starting in May and running to October! They have different trips you can take but we enjoyed the 45 minute sight seeing tour. I will say the location is a bit interesting because you have to walk a good distance to get to the boat from your vehicle. It is located near a ball park so keep that in mind on game days! Much like my last suggestion you will learn some history on this trip. The Pride of Susquehanna is an authentic stern-driven paddle wheel riverboat built 30 years ago. 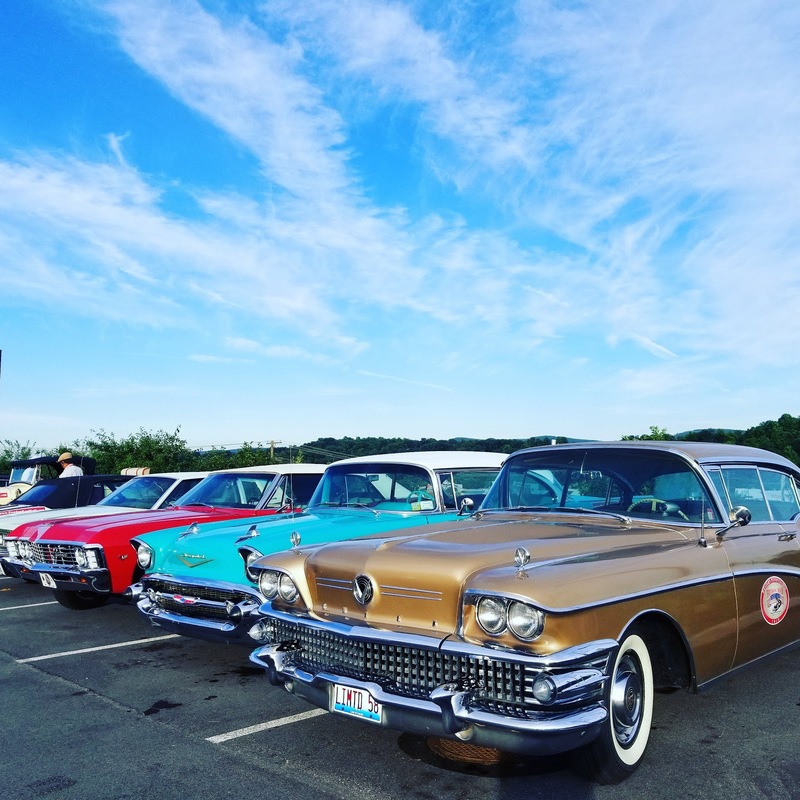 The driver/guide will point out shoreline attractions as you cruise and they also offer drinks and snacks for purchase if you so choose. 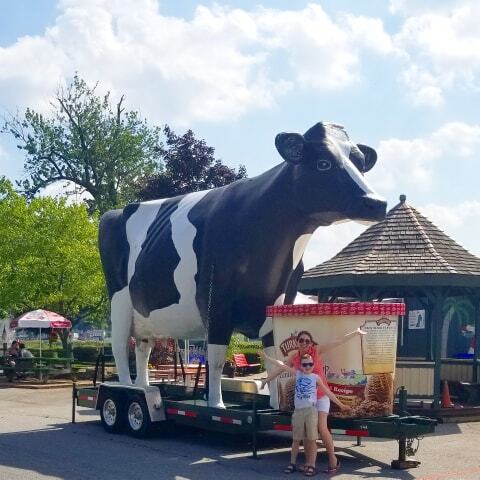 While driving off City Island from, the Pride of Susquehanna, we spotted this awesome cow!! This Island offered so much more than I expected so I wanted to also mention them. 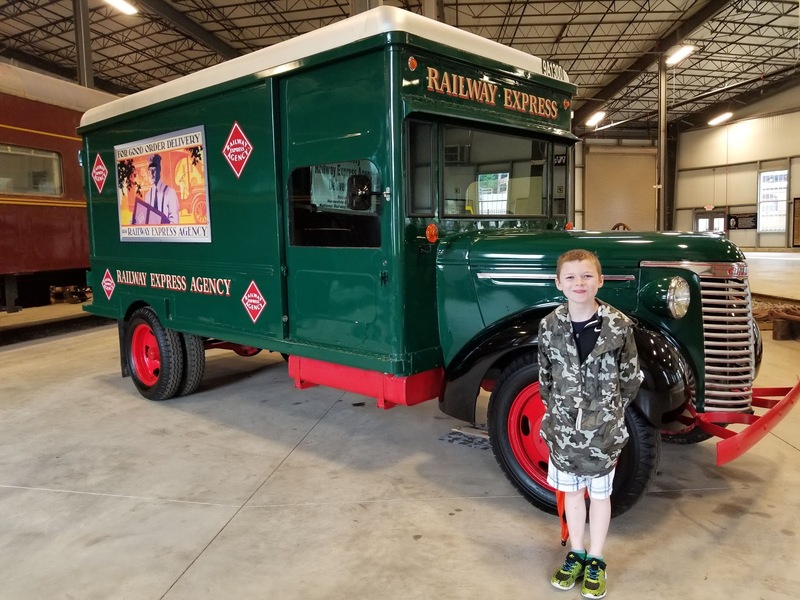 You can take a ride on a steam train or horse-drawn carriage while visiting. They also have miniature golf, arcade games, batting cages, and visit the beach!! Have you ever been to the Harrisburg, PA area?? 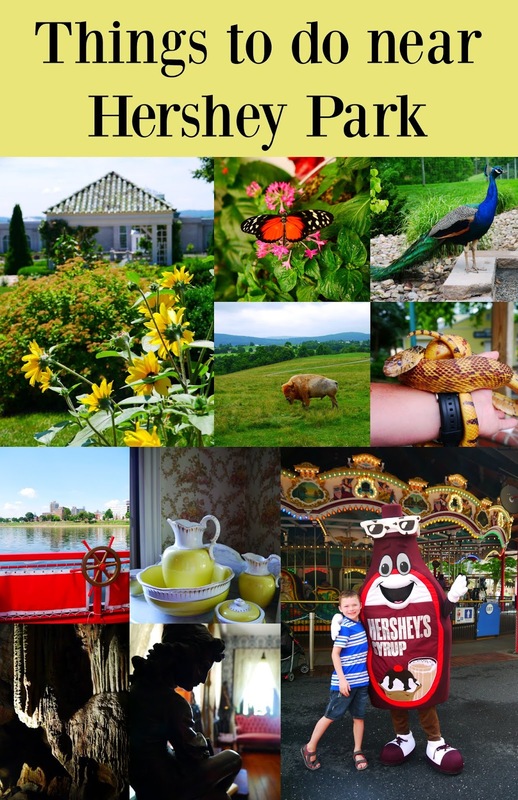 What are more things to do NEAR Hershey Park?? Raise of hands if you enjoy a relaxing getaway? I remember being cooped up in my 8-5 job dreaming of the next vacation. Anything to get me OUT of the four wall cubicle I was stuck in day after day. Can you relate? Every day we wake up and the day progresses much like the one before. When I became a mother I gave up the cushy 80 hour work week and started my own business. I wanted to raise my child and had the means luckily to do it. Travel was a huge passion of mine so it seemed fitting to incorporate that in my business. I think taking a vacation is such a vital part of our lives!! The benefits are off the charts that I could spend a day writing about all the studies done proving it! I have made it my job to help people find great, off the beaten path, places to visit without breaking the bank. Places that you can learn something from or just unplug and recharge while amazing memories! 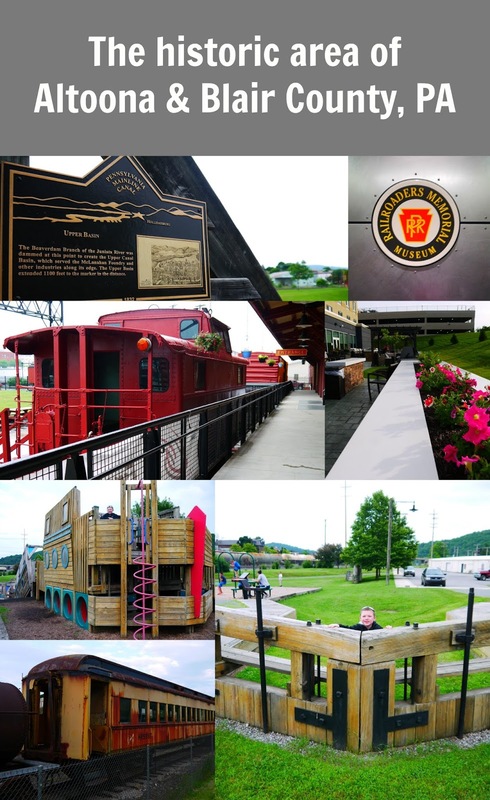 Today, I would like to share our trip to the historic downtown area of Altoona, PA and surrounding Blair County area. Once in town we checked into the gorgeous Fairfield Inn & Suites by Marriott Altoona. 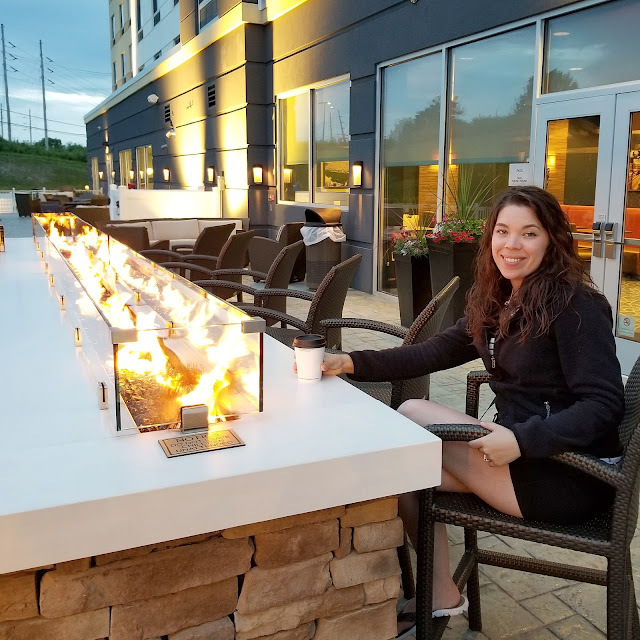 I would like to take a moment and say their outdoor patio is so relaxing (I seriously dream about returning with my laptop)! After exploring all day we found ourselves sitting on the lounge couches watching fireflies🐝, sipping coffee☕ & enjoying the table fires at night. Another neat thing that happened while staying here....the Freedom Road Rally was in town. These beauties, pictured above, were rolling in and out! 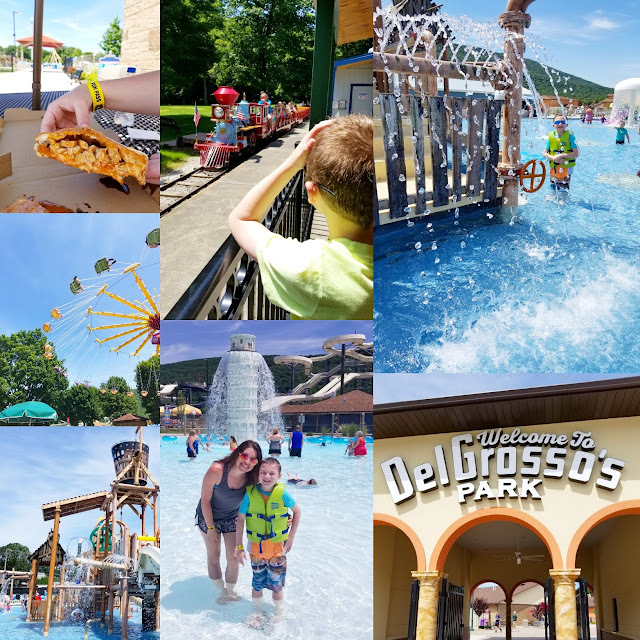 When the weather is nice I would suggest a stop at Delgrossos Amusement Park! We really enjoyed this attraction, you can check out my FULL review here. Many consider this area to be the "Railroad City". 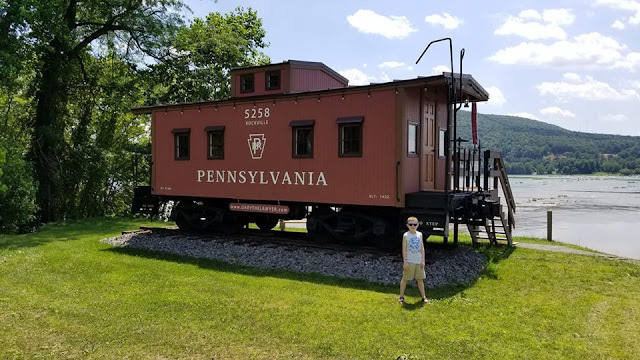 For good reason at every turn you can see train tracks, steam engines or visit establishments like the HorseShoe Curve. For more than a century Altoona, PA was one of the most important rail facilities in the United States. 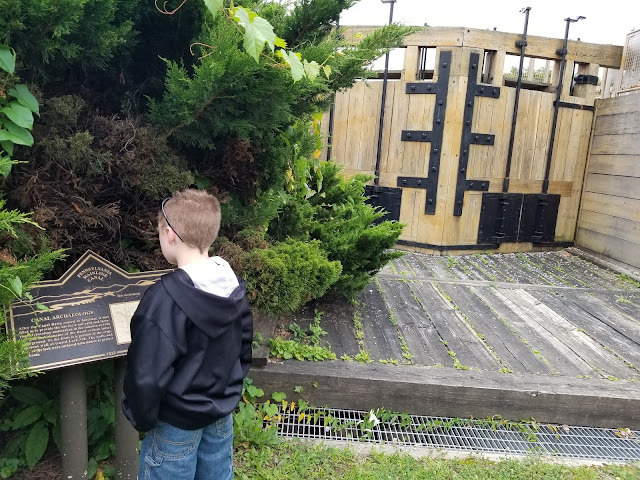 While at the play area in the Canal Basin Park we found several replicas of the lock mechanisms, and how the people lived along the canal. "At this major terminus point for the Allegheny Portage Railroad, cargo was unloaded onto rail cars while loaded section boats were pulled out of the canal; both were then hauled on a series of levels and steam powered incline planes. Two large water basins were located off of Bedford Street and Juniata Street in town. 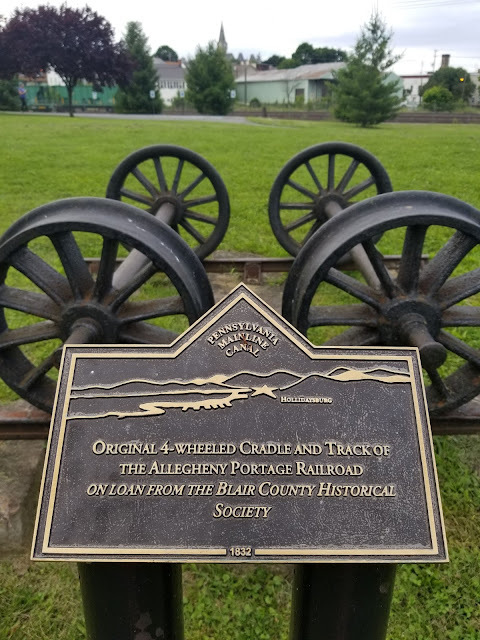 Connecting the basins was a canal lock, where boats proceeded into the upper basin along the Beaverdam Branch of the Juniata River (sourced content from here)". We learned a lot about the area's history while exploring the different hiking trails and park. On our first trip to Altoona, PA my son saw saw a caboose in the Altoona Railroaders Memorial Museum's yard. That sealed the deal for us to return and explore the area more. If you enjoy 🚂🚃🚃🚃 trains as much as he does this area does NOT disappoint! The museum is not extremely large but it does have three floors to explore. They also have a gift shop and garage where you can see them working on these fascinating engines! I could share so many photos of exhibits but I think you should really plan a trip (not just stalk my pictures haha)! My favorite part of the museum you ask?? 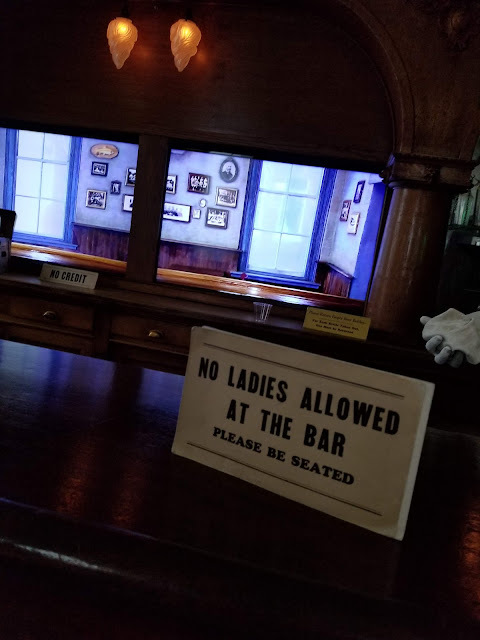 The replica of a bar that women were not allowed to sit at. This opened up a great discussion amoungst my son and I. Since we live in a time that women can sit where men do, it was interesting to explain to him that "back in the day" that was the norm. Every time I come to this area it pulls me in. I find myself looking forward to our next visit! If you are looking for a great getaway, family vacation spot or just a place to pass through, I would recommend this area highly!! It offers so much my family has honestly just scratched the surface. Have you ever explored the "Railroad City"? What do YOU look for in a vacation destination? ?